The Kuntala Waterfalls is located 12 kms from the Neredikonda villege, about 64 km from Adilabad. At Kuntala,the Kadem river cascades 45 meters down and rushes deep into the Jungles. 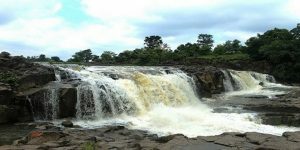 Kuntala, the highest waterfalls in the State, offers a spectacular sight particularly when the river is flush with copious inflows. The winter months are ideal for witnessing the waterfalls, as one can also see the river in all its glory. There is an image of Lord Shiva near the water falls known as Someshwara Swami. Many devotees congregate here for Maha Shiva Ratri festivities. 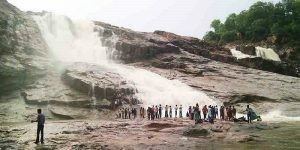 The Pochera Water falls is situated about 52 Km from Adilabad, 40 km from Nirmal 8 Km from Boath Buzurg. The Sounds of gushing water of the Godavari river and the soothing verdure around make Pochera Waterfalls a memorable audio visual treat. Small cascades down rocky slopes gather in a large opening in the rocks at a depth of 20 meters forming an enchanting pond. The Godavari river flows fast and wide heare , adding to the allkure of the place. Winter is the best season to view the Pochera Waterfalls. Fast Facts : 47 km from Adilabad Nearest Airport:Hyderabad:Rajiv Gandhi International Airport (280 km) Nearest Railway Station: Adilabad Railway Station (47 Km). Accommodation:Private Luxury Hotels at Adilabad and Nirmal. 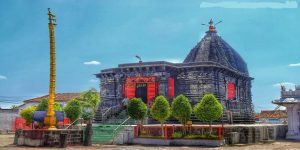 The jainath temple is named after a small village in which the shrine is located, about 20 km from Adilabad. A prakrit stone inscription in the temple, with 20 slokas, suggests that the temple was built by a Pallava chief . The temple reflects the jain style of architecture. The Laxmi Narayana Swami Brahmotsavam,celebrated from karthika sudda astami to bahula saptami ( October- November) attracts large nummber of devotees. Fast Facts : 20 Kms from Adilabad. Nearest Airport : Hyderabad:Rajiv Gandhi International Airport(341 Km) Nearest Railway Station: Adilabad Railway Station (20 Km). Accommodation: Guest Houses and Hotels in Adilabad. 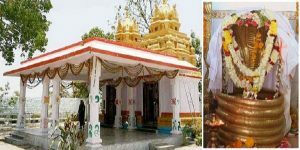 Keslapur is situated 35 km from Adilabad and 25 km from Utnoor. The famous Nagoba temple, which as stone image of Seshanag (Serpent God). attracts a large number of devotees. During pushya month ( December- January) a large number of people belonging to various castes and creeds participate in the Keslapur jatara, which is held in order of Nagoba, the snake God. People from all parts of the district as also Gonds and other tribes from the neighboring Maharashtra State take part in large numbers. Fast Facts : 32 Kms from Adilabad. 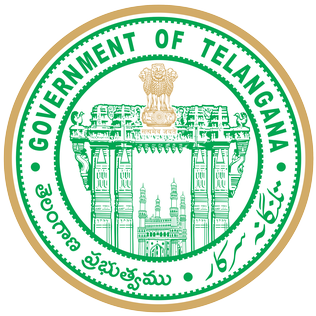 Nearest Airport : Hyderabad:Rajiv Gandhi International Airport(326 Km) Nearest Railway Station: Adilabad Railway Station (32 Km). Accommodation: Guest Houses and Hotels at Adilabad (32 km) . 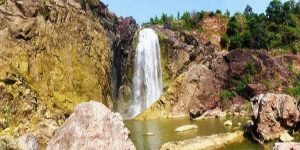 You may have heard about the famous Kuntala and Pochera Waterfalls in Adilabad. But there is this little known waterfalls in the same district. Gayatri waterfalls, a less known water body is situated on Kadam River. The river is a tributary of the grand Godavari River. Away from the human eye, the waterfalls found its habitat in a very secluded place inside a deep forest. It is at a distance of approximately 5 Km from Tarnam Khurd village, near Neredigonda of the Adilabad district. The villagers living around the waterfalls call it Gadidha Gundam or Mukdi Gundam. It is a definite treat to your eyes to see this amazing waterfall plunging down from a height of 100ft into the valley to create a magnificent sight. We humans feel truly blessed to witness such artistic creations of mother nature. Fast Facts : If you travel 257 kms from Hyderabad towards Adilabad, on NH 7, you can reach Neredigonda village. After reaching Neredigonda village, you have to travel 6 Kms to reach Kupti village, where you will find a sign board indicating to take a right turn to reach Tarnam village. The turn and drive for 2 Kms on a dirt road will take you to the Tarnam Khurd village. From the Tarnam village, we have to walk 5 Kms to reach waterfalls. Make sure you are accompanied by a villager to guide you, or you might get lost in dense jungle.